Reinvent - the action or process through which a thing is changed so dramatically that it becomes something entirely new. Our work environment or physical space has a profound impact on the way we think, feel and work together. So what happens when an organisation uses one of the most powerful catalysts available to galvanise people toward a common goal? Which aspects of our work environments matter most? 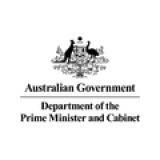 In this interactive session, come and help explore these questions, and more, using insights gathered from The Department of the Prime Minister & Cabinet’s experimentation with Activity Based Working. Check out the incredible speaker line-up to see who will be joining Pat .